We designed materials for A First Amendment for All? 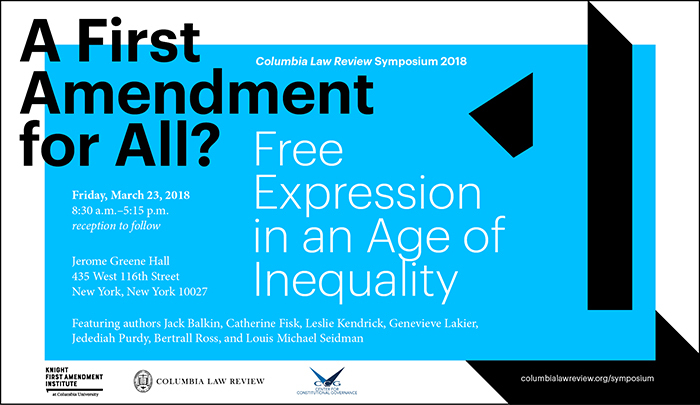 Free Expression in the Age of Inequality, a symposium with the Columbia Law Review, the Knight First Amendment Institute, and the Center for Constitutional Governance. 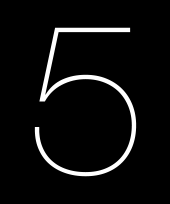 The Knight First Amendment Institute was established in 2016 by Columbia University and the John S. and James L. Knight Foundation to safeguard free expression in the shifting landscape of the digital age. The Knight First Amendment Institute defends the freedoms of speech and the press in the digital age through strategic litigation, research, and public education. Their aim is to promote a system of free expression that is open and inclusive, that broadens and elevates public discourse, and that fosters creativity, accountability, and effective self-government.